Perhaps because she is a direct descendant of the real Phoebe Clappsaddle, Melanie Chrismer views writing as “an adventure.” She is a fifth-generation Houstonian and has also lived in Tennessee, Connecticut, New Jersey, Ohio, and Georgia. Just as “reading and writing go together like ice cream and chocolate sauce,” according to Chrismer, writing captured her interest in the third grade when she wrote her first story. She continued writing throughout her high-school years, and then she married her high-school sweetheart and raised two children. In 1991, Chrismer resumed her writing career as a newspaper stringer, library aid, and bookstore manager, while her work appeared in periodicals and children’s curricula. 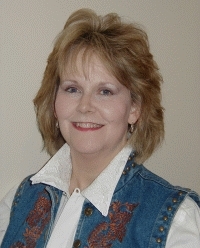 With the publication of Phoebe Clappsaddle and the Tumbleweed Gang, Chrismer achieved published-author status. In Phoebe Clappsaddle for Sheriff, Phoebe once again proves that combining Southern manners with no-nonsense Western spirit exacts justice while maintaining dignity and composure. In addition to her writing career, Melanie Chrismer frequently speaks at schools and libraries, where she presents hints for developing writing strategies and techniques. She also discusses the history of her native state and gives demonstrations with her practice bull, Medium-Rare. She is also an active member of the Houston chapter of the Society of Children’s Book Writers and Illustrators, Women Writing the West, the Texas Coalition of Authors, and the International Reading Association. Chrismer lives in the Clear Lake area near Houston, where she continues to write. A cultural spin on the classic Chicken Little tale, this story follows Chachalaca Chiquita, a colorful southwestern bird, through her journey after a pebble falls from the sky and hits her right on the head. On a mission to tell the jefe (boss) that the sky is falling, Chachalaca Chiquita joins the feathered flock of Lina Gallina, the prairie hen, and her chicks and heads to the mountain. Learn about the men behind the legendary star in this exciting new book for all ages! Texas native Melanie Chrismer takes readers through the two hundred-year-history of the Texas Rangers and the changes that took place in the state from the organization’s inception to its current incarnation. Emphasis is placed on the diversity of those who assisted the Rangers, including Native Americans, Texans of Mexican heritage, and African Americans, along with the newest addition—women rangers. Covering the creation of the Rangers as a response to territorial conflict, their role under the Republic, their defense against Mexican invaders, and their evolution during the twentieth century, Chrismer has created the perfect resource for the classroom. Young Phoebe is raised as a Southwestern belle, which made her a genteel gal who was also a great rider and roper. One day she enters the territory rodeo to compete against the ill-mannered Tumbleweed Gang and their reign as champions is over. Clifford, Elmo, and Eustace Tumbleweed decide to get rid of sissified Phoebe Clappsaddle once and for all. Hardcover. When the governor of Texas asks Phoebe Clappsaddle to officially welcome the new schoolteacher, Phoebe is happy to oblige. Wearing her grandfather’s tin sheriff’s star, Phoebe must contend with mishap upon mishap in her quest to preserve good manners. But when the rowdy Tumbleweed Gang ransacks the town of Marathon, she realizes this is a job for the sheriff: Sheriff Phoebe Clappsaddle, that is. Hardcover. Sheriff Phoebe Clappsaddle is back—just in time for the Christmas holidays. Mail doesn’t come every day in the territory south of Big Spring, west of Marathon, north of Terlingua, and east of El Paso, so Phoebe is delighted to receive a parcel. But a mule-mail mix-up leads to another adventure for the high-spirited young sheriff. Hardcover.